I created a pattern (virtual application) and I would like that the user whom will deploy this pattern is able to set some attributes. I would like to remind you, that the same technology is used on IBM PureApplication and IBM Workload Deployer and thus most of the article I wrote on the subject are valid for all these platform. Nothing, more easy than that! The SmartCloud Application Workload Service allows you to create a template from your pattern or create directory a template, once you have the template, you can edit it in the virtual application builder and lock or unlock some attributes. To create a template from a pattern, just open the pattern in the virtual application builder and click on ‘Save As’, provide a name and check the radio button template. 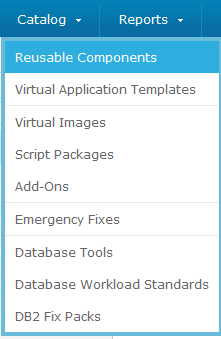 To directory create a template, select ‘Catalog’ from the menu and then ‘Virtual Application Template’. Then click on the ‘+’ and create your new template. 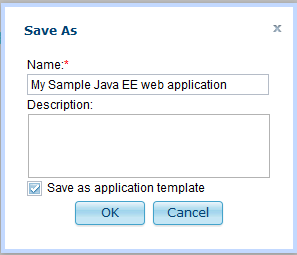 If the template is already created, just open it in the virtual application builder by selecting it and click on ‘Open’. Once you open the template and select a component, you will see open locks. By clicking on the lock, you can close and open it. When it is close, the user will be not able to modify the value at the provisioning time. Let’s close the ‘Total transaction lifetime timeout’. 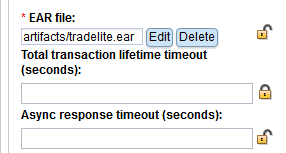 Now, save the template and click on deploy, a pop-up window appears and you can see that the user can modify the EAR file but not the ‘Total transaction lifetime timeout’. When you click ok, a new pattern will be created with the new values (You can find the newly created pattern in the ‘Pattern’->’Virtual Application’) after that the usual window will pop-up asking you for the name of the instance. 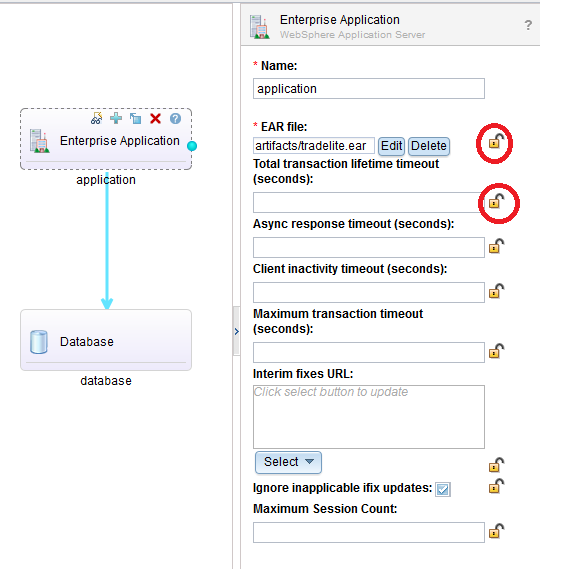 This entry was posted in IBM Cloud, IBM PureApplication System, IBM PureSystems, IBM SmartCloud Application Services and tagged #ibmcloud, #ibmpuresystems, #SCAS by ITDoVe. Bookmark the permalink.